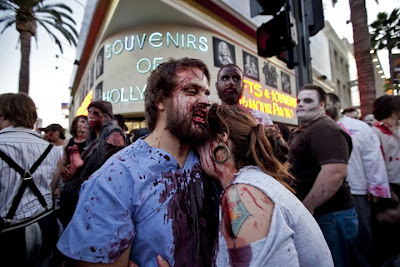 LA Photo: Zombies Invade Hollywood Blvd. 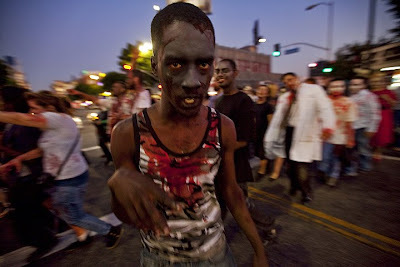 Hundreds of zombies took over Hollywood Blvd. for a zombiewalk which started at Grauman's Chinese Theater were "Zombieland" is now playing. 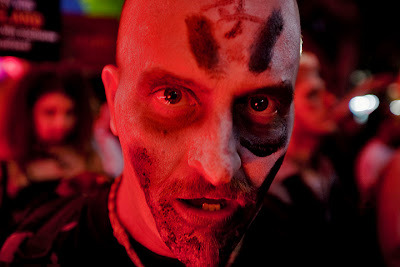 The zombies were treated to a screening of "Zombieland," a new horror film staring Woody Harrelson and Jesse Eisenberg. "Zombieland" is worth seeing just for the rules, and the cameo from a huge Hollywood movie star.